Biomass consulting firm FutureMetrics LLC recently published a white paper highlighting global demand and spot price estimates for industrial wood pellets. The data allows for an optimistic scenario in which demand for co-firing or full-firing of wood pellets in large industrial pulverized coal (PC) power plants continues to strengthen in Korea, Japan, the United States and Canada. The forecast for wood pellet spot prices is based on historical industrial wood pellet price behavior extending back to May of 2009. Global wood pellet consumption has more than tripled in the past decade, and one of the most significant drivers of this robust demand has been the litany of energy policy initiatives being introduced by governments of developed nations across the globe. As the white paper pointed out, traditional markets in Europe and England have been greatly influenced by this policy push towards renewable energy, but it is estimated that growth in this region will begin to level out by 2021. This has prompted much speculation by analysts in terms of identifying where the next pocket of demand growth will develop in the coming decades. 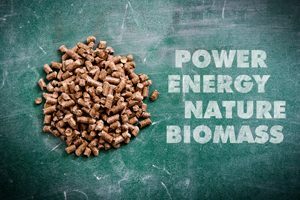 While there are no clear leaders to take up the baton at this point, there are a handful of key players that could make a significant impact on wood pellet demand over the next 10 to 20 years. The Asian market in particular is showing several signs of a burgeoning increase in demand for biomass wood pellets. Current trends in wood pellet consumption levels in Japan indicate a plausible scenario in which annual demand could exceed a rate of 10-15 million metric tons by 2030. Korea has also implemented favorable renewable energy policies that could spur demand to an annual rate of 8 million metric tons by 2024. In the West, Canada has emerged as a potential forerunner for increased wood pellet demand due to a recently announced carbon pricing initiative that will fix the price of carbon at $50 per metric ton by 2023. This move was implemented in lockstep with legislation from Alberta to phase out all of its coal-fired electricity plants by 2030. Currently, half of the province’s power is derived from coal, and this transition towards a “zero coal future” in Alberta will see the increase of co-firing from older pulverized coal power plants in order to avoid the carbon tax. By maintaining low co-firing ratios, many of Alberta’s older pulverized coal power plants will allow for a full substitution of wood pellets in lieu of coal, with no additional modifications required. Alberta’s newer power plants that have come on line in recent years (e.g., Keephills 3 and Genesee 3) are candidates for a full conversion in the vein of the UK’s Drax Power Station, which features two lines that are running on 100 percent wood pellet fuel, and a third line that runs on 85 percent pellets and 15 percent coal. As far as the U.S. is concerned, the white paper reiterated that the Clean Power Plan, should it survive the current volatile political environment, will prove to be a positive for the development of a more robust industrial wood pellet market. FutureMetrics estimates that if market conditions in the aforementioned countries continue to shape up as expected, demand for industrial wood pellets could roughly triple between now and 2025, averaging a projected annual growth rate of more than 3 million metric tons per year. While nothing is ever 100 percent certain, the current trend in policy making and accompanying support systems indicate that the industrial wood pellet sector will experience significant growth over the next couple of decades.